When my brother-in-law was in college, he was listening to AM radio one day and heard a preacher come on the radio. The preacher stated that God had given him a scripture to prove that Christians are not supposed to watch TV. Enthralled, my brother-in-law left the radio on. The minister read from the passage where Jesus was transfigured before Peter, James and John. Then, after the transfiguration, on the way down the mountain, Jesus commanded his disciples ..
Another good example of bad exegesis. 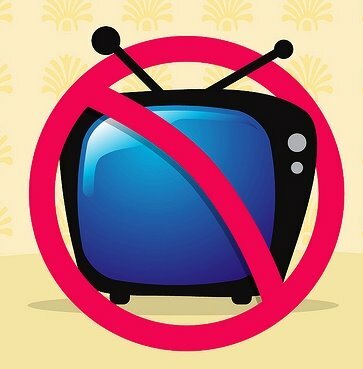 8 Responses to "Bible Proof That We Must Not Watch Television"
If the preacher is correct, then all the souls who gave their lives to Christ through the preachings shown on TV are not saved. Thank God he is totally wrong. So true. You know, of course, that I’m putting that story up there as a good example of poor interpretation of scripture, right? You know these are “good examples of BAD interpretation,” right? It’s meant to be humorous, although the fellow who preached it apparently was pretty serious at the time. Got any other good examples of bad exegesis man? I hope to post more as time allows. I’ve got plenty of my own and others I’ve heard.